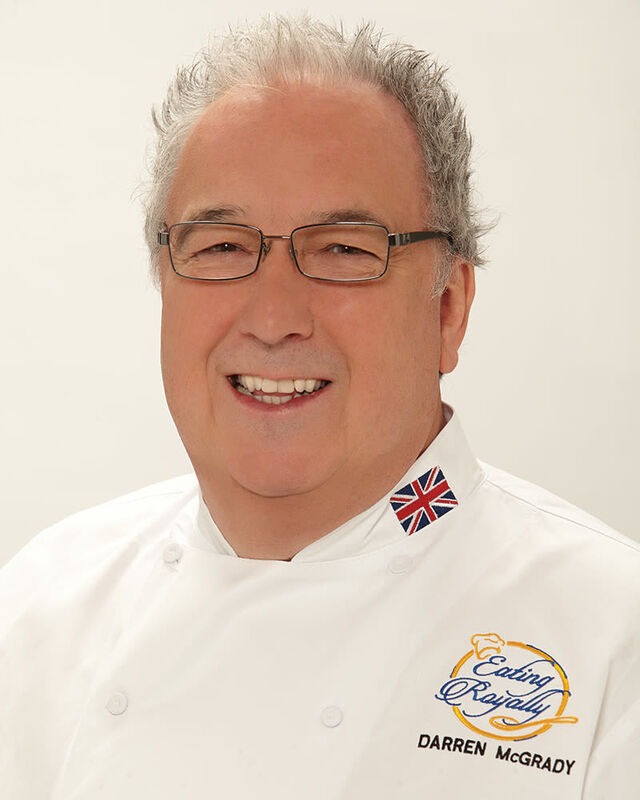 Darren McGrady was chef to Queen Elizabeth II, Diana, Princess of Wales and Princes William and Harry for fifteen years and has cooked for five US Presidents. He is also an author, culinary consultant, event planner and public speaker. Darren has appeared on The Oprah Winfrey Show, Good Morning America, CBS Early Show, Fox and Friends, CNN Headline News, The Today Show, and Larry King Live. Darren trained at The Savoy Hotel, London before moving to Buckingham Palace where, for 11 years he cooked for the Queen and the Duke of Edinburgh and their guests on a daily basis, catering banquets for Foreign Heads of State including Presidents’ Bush, Clinton, Reagan and Ford. Impacted by his time with Princess Diana, Darren has since devoted much of his free time working for causes she supported, including shelters for battered women, charities for children with chronic illnesses and disabilities, and breast cancer charities. All of the royalties from his first cookbook ‘Eating Royally; recipes and remembrances from a palace kitchen,’ he donated to the Elizabeth Glaser Pediatric Aids Foundation. Darren became the first private chef invited to cook at the prestigious James Beard House in New York. His second cookbook “The Royal Chef at Home—Easy Seasonal Entertaining” was released in November, 2017. Darren’s role with Koelsch Communities is to guide culinary leadership by instilling creativity, new techniques, and working with the Koelsch team to create menus that are nothing short of culinary feats—adding a layer of luxury that is the perfect complement to Koelsch Communities.